Kings Cross St Pancras Station; found right in the centre of London. Kings Cross St Pancras Station is ideally located for getting to and from anywhere in the city. Major transport hubs like Kings Cross Station and St Pancras International means that it’s one of the most well-connected areas in London. Trains at Kings Cross St Pancras Station serve those travelling up North, East or over to France and further abroad on the Eurostar. Kings Cross and its surrounding area is going through huge regeneration. Historically, the area was infamous for its prostitution and drug problems. The former red light district has gone through some big changes since the opening of St Pancras in the mid 1990’s. Today, Kings Cross is a buzzing restaurant, shopping and entertainment district. 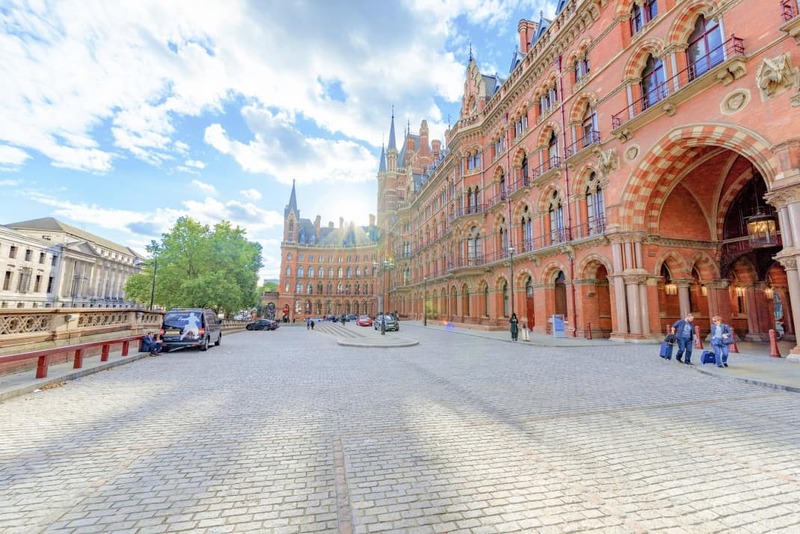 While you’re visiting, be sure to see the beautiful St Pancras Renaissance Hotel, do some shopping and enjoy a nice brunch at Granary Square. Harry Potter fans will be excited to find the secret entrance to platform 9 and 3/4. 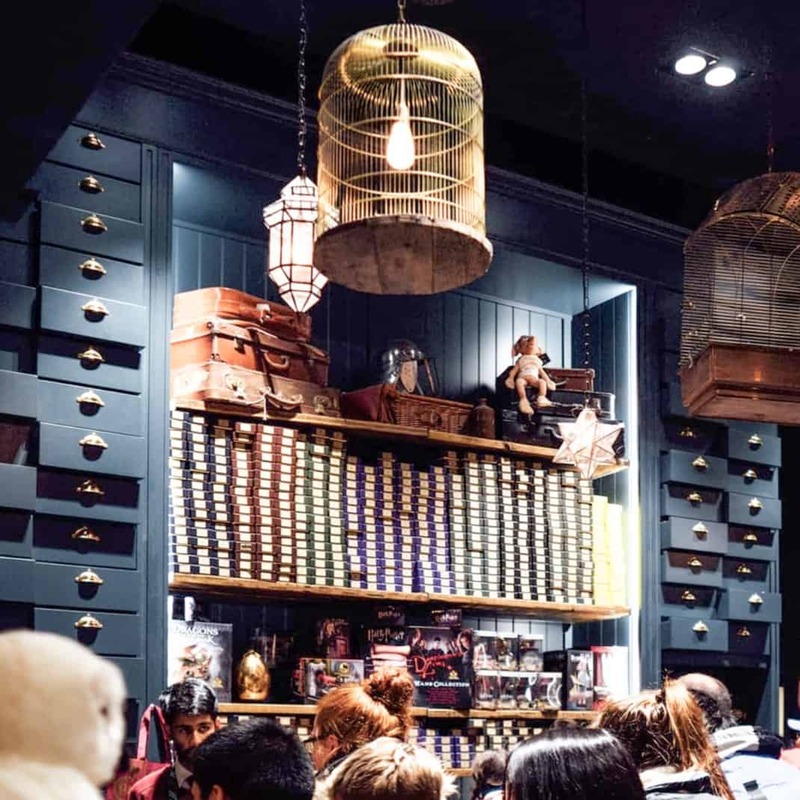 There’s also a Harry Potter shop on the first floor of Kings Cross. Kings Cross – St Pancras is a popular destination all year round. It’s a transport hub for London so avoid commuting hours (8am-9am; 5pm-6:30pm Mon-Fri). Weekends are particularly busy with tourists, shoppers and brunchers who flock to the area. Granary Square and the canal is best enjoyed with a drink on a warm, sunny day. You should reserve at least two hours to visit Kings Cross – St Pancras. This will allow you to enjoy the shopping, explore the canal and stop at a local pub or café. If you plan on going for lunch or dinner, you’ll need a little longer if you want to also explore the area. Kings Cross – St Pancras is a central hub and many people pass through it every day. Therefore, there’s no general dress code and you can simply dress for the activities that you’re going to partake in. If you’re going shopping, wear comfortable layers, or if you’re embarking on a walking tour – take comfortable shoes! 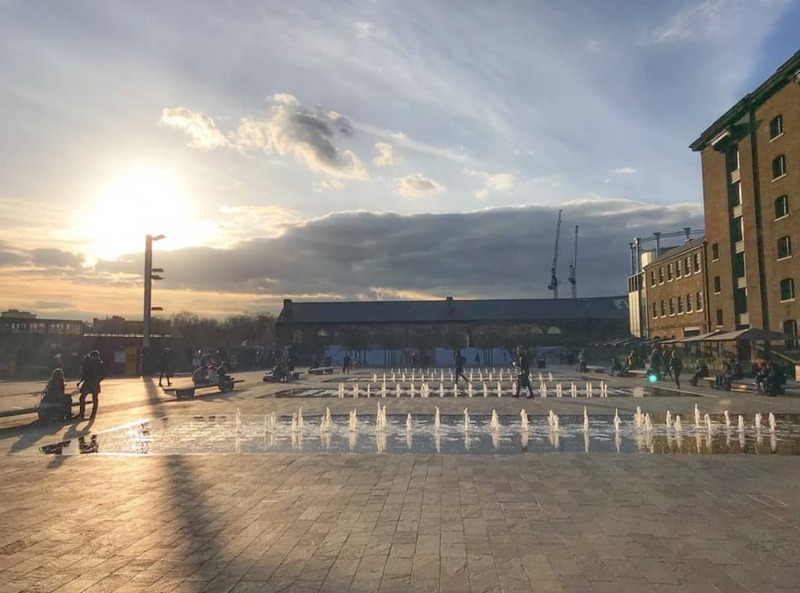 Granary Square is a relatively new cultural hub in Kings Cross. It’s home to some of London’s best restaurants like Caravan and Dishoom. This is also where the canal starts, from which you can walk all the way up to Camden Market, Little Venice and beyond. The fountains in the middle of the square are particularly popular with kids and dogs in summer, when you’ll see both running through the jets of water at the same time. Harry Potter fans love visiting Kings Cross station, which is home to the famous Platform 9 3/4. Kings Cross is where the Hogwarts Express departs from at the beginning of each magical school year. Fans can visit the secret entrance to the platform and get their photo taken. There’s also a Harry Potter shop on-site with wands, broomsticks and all the magical supplies a wizard (or muggle) could ever need. 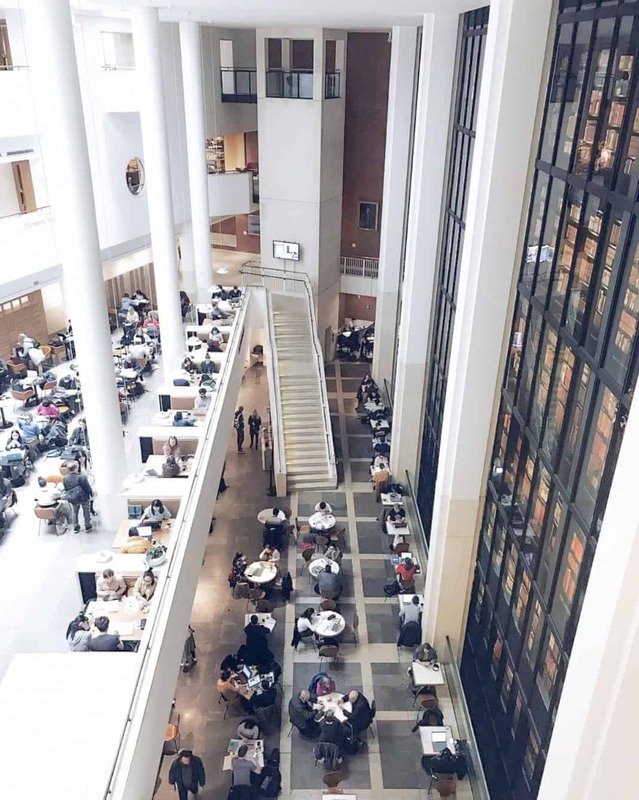 The British Library holds over 170 million items from all around the world, making it the world’s largest library by number of items catagorised. This key Camden attraction is open every day of the week and is free to visit. It plays host to pop-up exhibitions like the Harry Potter curation, as well as talks and lectures, panel discussions and tours. Plus – it looks fantastic!